The Department of Business Affairs & Consumer Protection (BACP) ensures a fair and vibrant market place for both businesses and consumers. BACP licenses businesses and public vehicles, provides business education and access to resources, enforces the Municipal Code, and protects consumers from fraud. Let the Lincoln Bend Chamber of Commerce do your landscaping, for pennies a day! Enroll in the 2019 Lincoln Bend Chamber's Adopt A Pot program and we deliver a large (36" diameter) concrete pot to your door, and have it professionally planted 3 times in the season-spring/summer, fall and winter display. You pay for the subscription and provide the watering-that's it. Our landscaper has consistently provided our businesses with stunning and lush plantings and this year will be no exception. Call the Chamber at 773-334-0614 and reserve your 2019 pot. A reminder-snow removal and litter pick up are required of business owners/licensees. If you would like to hire a service to perform these duties, Cleanslate is ready to assist you. For more than a decade, Cleanslate has provided Chicagoland business owners and communities with professional litter cleanup, graffiti removal, power washing, snow removal and landscaping services. Please reach out to Brady Gott, (email bgott@cleanslatechicago.org) or phone to 312-798-6772 to to discuss the range of services Cleanslate offers and learn how they can help you and your business. Looking for a property for your business? Site Selector is a web application which allows users to search for and post available industrial, office, and retail properties. These properties may be layered on a map, with the ability to add various other infrastructure and amenities layers, such as industrial corridors and “L” and Metra lines. Incentive program layers such as TIF may also be overlaid with the tool. Individual listings provide detailed property information, including square footage and rent or sale price. Site Selector is hosted by World Business Chicago (WBC) and is located at www.SiteSelectorApp.com. Site Selector’s listings are populated by Rofo.com, a real estate marketplace company contracted by World Business Chicago to provide listing capability to NBDCs and real estate brokers. For help with Rofo.com, email support@rofo.com. Looking for free legal assistance for your small business? Attend one of these Free Legal Clinics offered by The Law Project* and the City of Chicago's Neighborhood Business Development Centers. 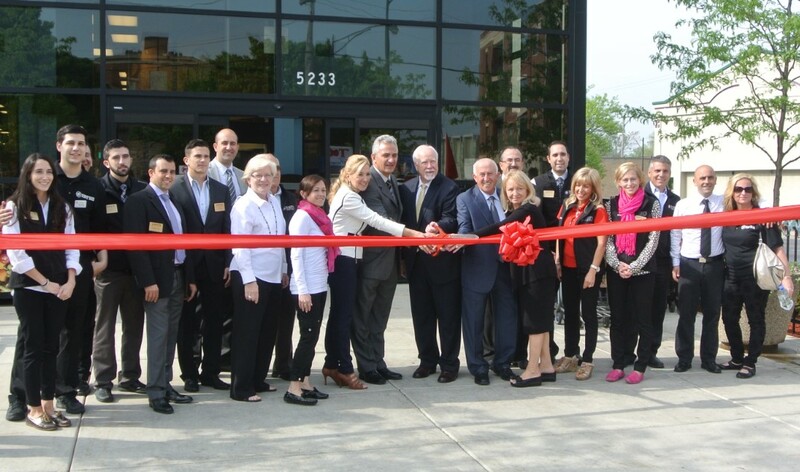 All of the Lincoln Bend Chamber of Commerce business district is located in the 40th Ward of the City of Chicago. Visit 40th Ward Alderman Patrick O'Connor's website at www.aldermanoconnor.com for timely information regarding area news and important community notices. Alderman O'Connor's website is updated regularly and includes many community links of interest. Rosehill Cemetery & Mausoleum, 5800 N. Ravenswood Avenue, will again be offering their bimonthly walking tours of the historic cemetery on the 2nd and 4th Saturdays of the month. This free tour highlights Rosehill's history, sculptures, and stories from the lives of famous Chicago pioneers and politicians buried there, including Civil War generals and Chicago Mayors, Banker Norman W. Harris, Hot Dog King Oscar Mayer, Montgomery Ward, Richard Sears, and suffragette Frances Willard. Tours meet at the Rosehill's Ravenswood gates at 10 a.m. For more information, call (773)561-5940. The Illinois State Treasurer's Office is launching the Cultivate Illinois Green Energy Program, an environmental initiative, to assist businesses, nonprofits and local governments finance the purchase or installation of energy efficient equipment, such as solar panels, solar thermal energy systems, or other energy efficient equipment and upgrades. Cultivate Illinois Green Energy is a linked deposit program that promotes "Going Green" statewide. For more information or to participate, please contact the Treasurer's Office at 217-557-6436 or visit www.treasurer.il.gov and follow the Cultivate Illinois link.